The Polychlorinated Biphenyls (PCB) Transformer Registration Database tracks geographic and dated information of registered PCB transformers. 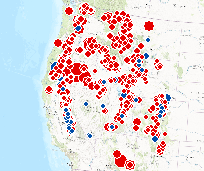 The Safe Drinking Water Information System (SDWIS) contains information about public water systems and their violations of EPA's drinking water regulations. QUAL2K (or Q2K) is a river and stream water quality model that is intended to represent a modernized version of the QUAL2E (or Q2E) model (Brown and Barnwell 1987). The Superfund Query allows users to retrieve data from the Comprehensive Environmental Response, Compensation, and Liability Information System (CERCLIS) database. SDWIS/State is a data system that EPA is developing for states that will improve the quality of drinking water information. PeoplePlus (PPL) is the U.S. Environmental Protection Agency's (EPA) time & labor system which feeds the EPA's payroll function maintained by the Interior Business Center (IBC). The Gas_Stations dataset is derived from the Navteq 'AUTOSVC' SDC layer (FAC_TYPE=5540) and contains gas stations and petrol stations. This NAVTEQ dataset is released on a Quarterly basis. 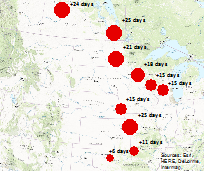 The Oil and Natural Gas Pipeline geospatial data layer contains gathering, interstate, and intrastate natural gas pipelines, crude and product oil pipelines, and other hazardous liquid pipelines throughout North America. 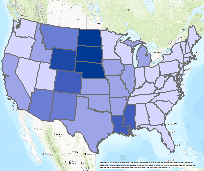 This GIS dataset contains data on wastewater treatment plants, based on EPA's Facility Registry Service (FRS), EPA's Integrated Compliance Information System (ICIS) and other datasets. 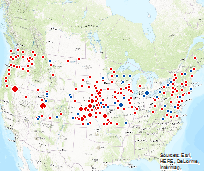 This GIS dataset contains data on power plants, based on the Energy Information Administration's EIA-860 dataset and supplemented with data from EPA's Facility Registry Service (FRS) compiled from various EPA programs.